The Great Granita – Hello, Confidence! Summer is coming to an end, but warm weather is in full swing and it’s a great time to take advantage of everything it has to offer. The longer days allow for more outdoor activities, relaxation, and my personal favorite: al fresco dining. There’s nothing in this world I enjoy more than sitting on the porch with family, watching the sun go down, while chowing down on a crisp green salad, grilled corn and squash, and BBQ ribs. It’s a food fantasy that almost renders the cold winter completely forgettable! So many reasons to love summer. 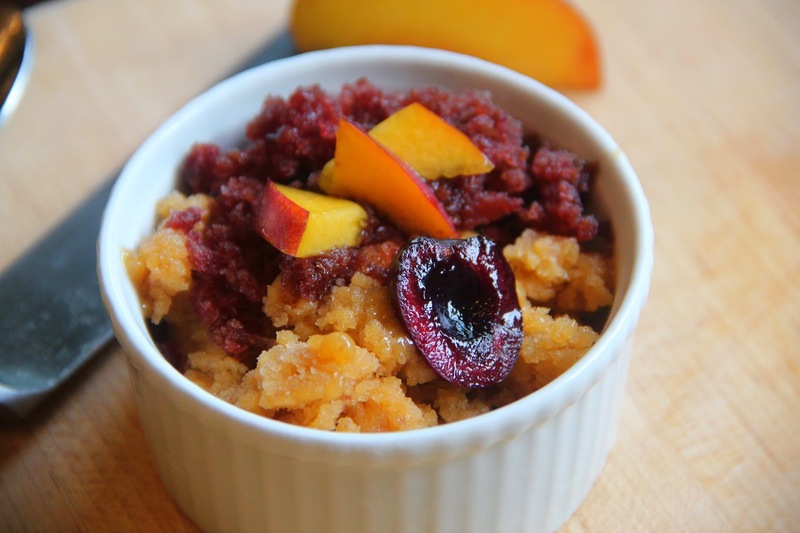 Now when it comes to satisfying your sweet tooth in the summer months, there’s a tendency for eager cooks to go all out crazy with baked fruit desserts. Whether it’s a delicious raspberry tart, a peach cobbler, or a cherry pie, people want to showcase the season’s stars. I’ll always be the first in line to eat any great baked fruit dessert, however, the average host will find finicky tarts, or the extra oven heat, a bit of a turn off during these hotter times. Not to mention, many gatherings like the quintessential BBQ may feature quite a lot of meat, so heavier desserts are sometimes passed over. So, how do I satisfy my requirements for something easy, tasty, and fast, with visual appeal? 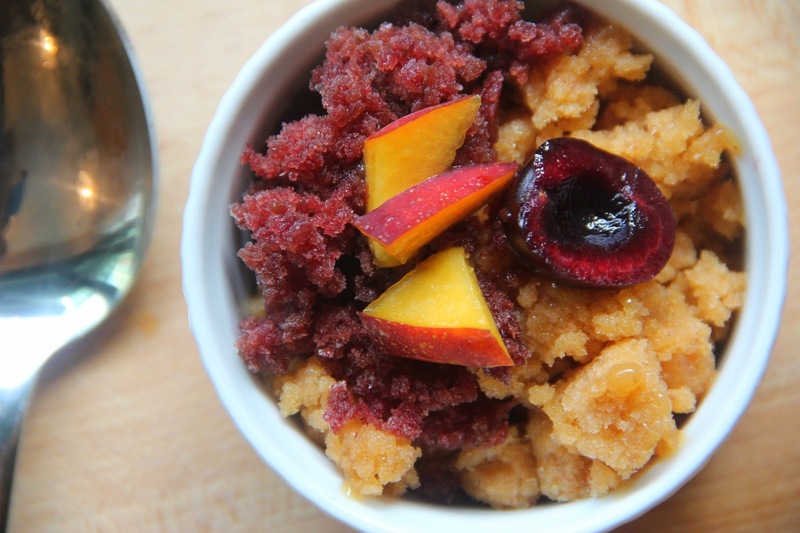 I offer up what is probably one of the easiest desserts you can make from scratch: Granita. Granita, according to one of my favorite pastry chef’s David Lebovitz, “is simply a shaved ice, made from a lightly sweetened fruit puree or another liquid.” You can make it from just about anything, and you don’t need any special equipment, like an ice cream maker or ice pop molds. It’s as easy as mixing up a liquid base, pouring it into a container, freezing it, and finally scraping it with a fork when frozen. It’s one of those desserts that feels like cheating because it’s so easy, and it looks pretty impressive. Depending on the fruit and natural sugar levels, the texture can range from icy snow to a smoother sorbet-like texture. No one will be able to pass up on something reminiscent of the beloved summer snow cone, and why should they? You are offering refreshingly light nostalgia, without the food coloring. 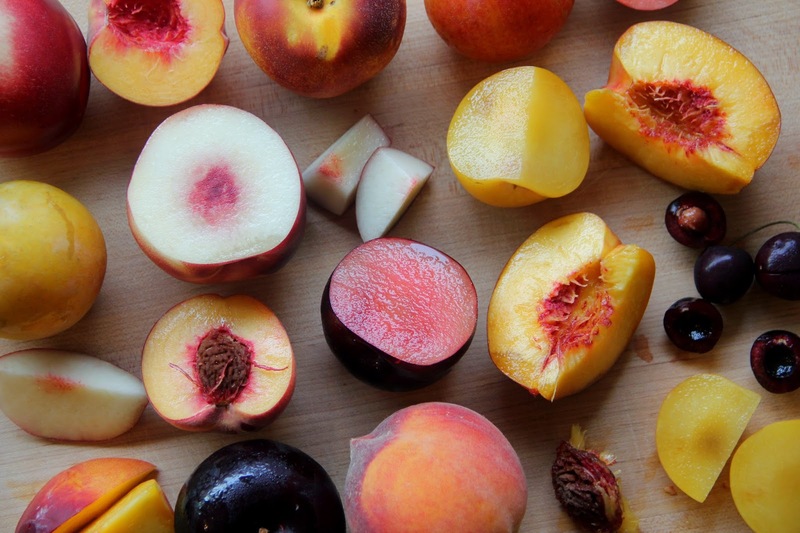 Substitutions: This recipe works best for for ripe, fleshy fruits such as berries and stone fruit (cherries, peeled peaches, nectarines, plums). You may want to strain berry seeds out, but that is up to you. Notes: Granita recipes can vary whether you are using whole fruit or juice (pear fruit vs. pear juice), and the natural level of sweetness (raspberries vs. cranberries) for example. Use this recipe as a guide, and feel free to experiment, you can always melt it down, and adjust as necessary. 1. Pit and trim fruit as necessary. Cut into chunks to make measuring easier, measure approximately 2 cups of fruit, set aside. 2. 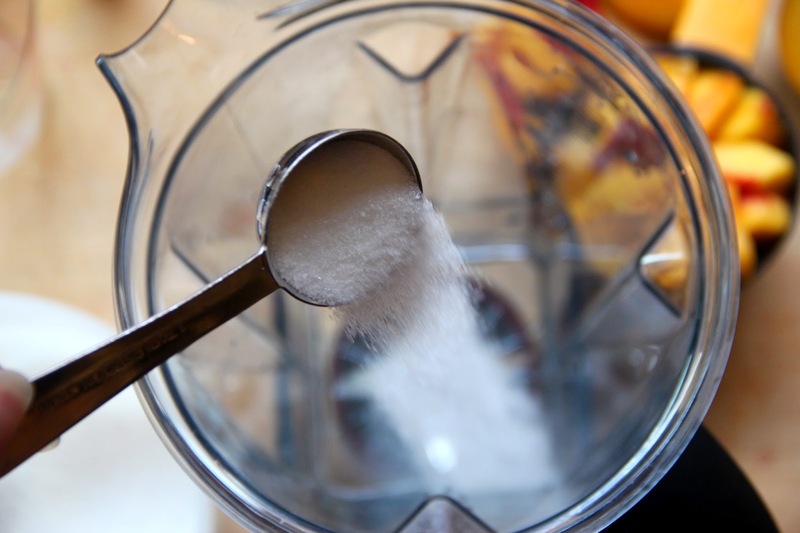 Place water, and 2 tablespoons of sugar in a blender, and process until most of the sugar has dissolved. 3. 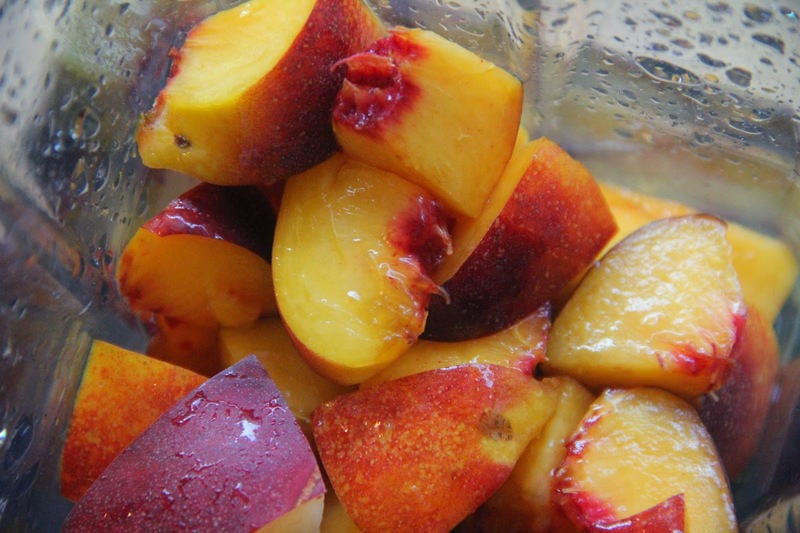 Add nectarines and process until completely smooth. 4. Taste mixture for sweetness: The granita base should taste, without a doubt, sweet. If it does not, add 1 teaspoon of sugar at a time until it does. If your fruit tastes sweet on it’s own you shouldn’t need more than 3 additional teaspoons of sugar (1 tablespoon), for a total of 3 tablespoons. 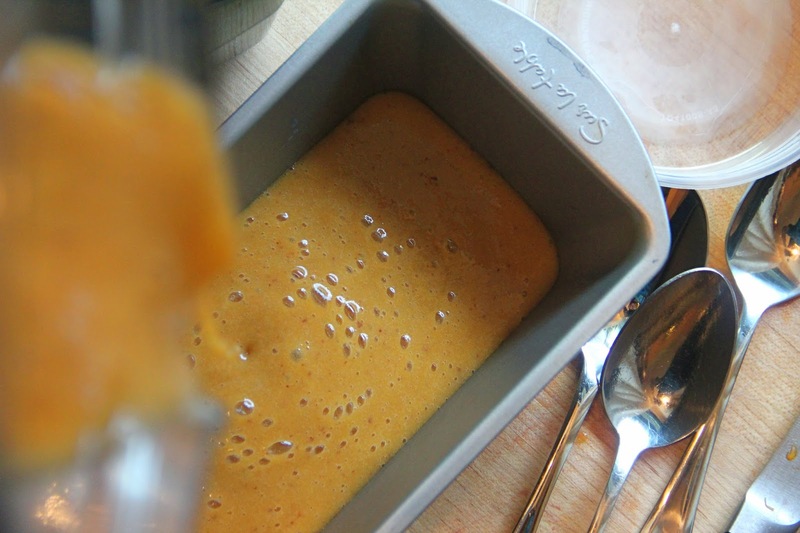 Slightly under ripe, or more tart fruit may call for 4 tablespoons. If it doesn’t taste clearly sweet at this point, it won’t freeze or taste right later. Sugar content affects the freezing temperature and your granita may freeze too hard to scrape if you don’t sweeten it enough. Also, freezing cold temperatures inhibit your taste buds ability to sense, so something that is barely sweet at room temperature, won’t taste sweet at all when frozen. 5. Taste mixture for flavor: If the flavor of your fruit isn’t 100% perfectly flavorful, don’t fret. By adding a pinch of salt or a little acid (lemon or lime juice) you can turn up the flavor for slightly overripe or otherwise less flavorful fruit. 6. Once you are satisfied with your granita base, pour it into a glass, plastic or metal dish that will fit into you freezer. 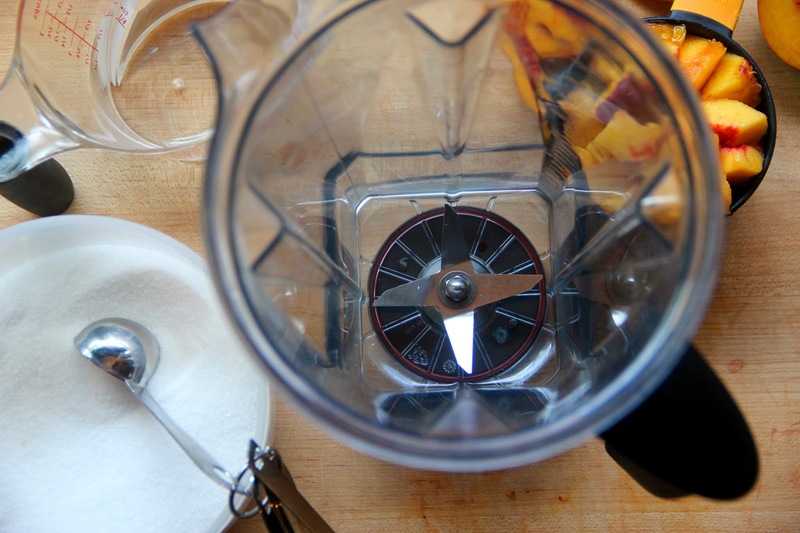 Place granita mixture in freezer until frozen, usually about 3-4 hours (or overnight). Many granita recipes ask that you scrape every 30 minutes, but this is not necessary. If you are making your granita several days in advance, be sure to cover it with plastic wrap or a lid, to avoid any funky freezer flavors. 7. 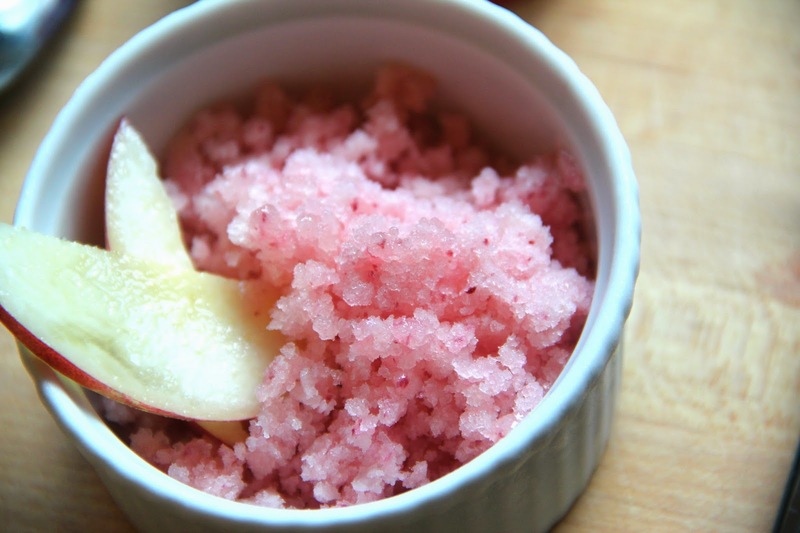 Remove frozen granita, and using a fork, begin to scrape the surface. 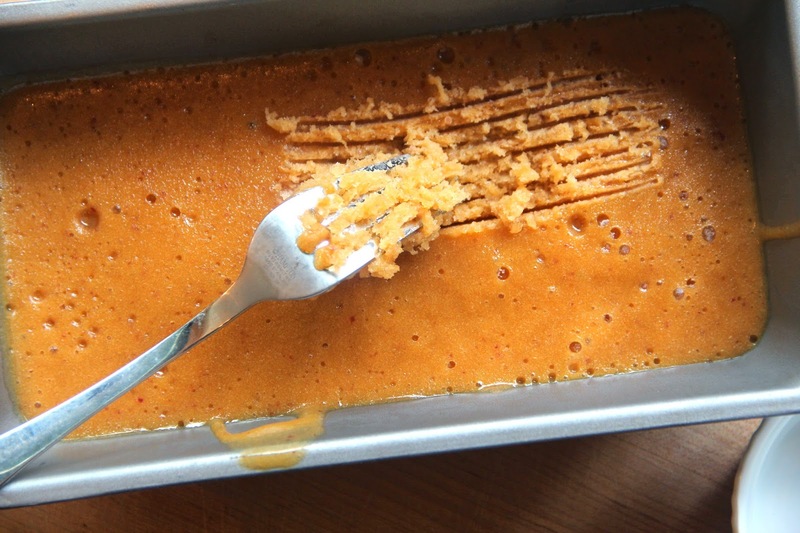 If it is really hard, let it sit out at room temperature for 5 minutes and then resume scraping. 8. If the granita starts to melt while scraping, just return it to the freezer for 15 minutes. To avoid spending time in the kitchen with guests around, scrape all of the granita in advance of serving, and just re-fluff before serving to break up any clumps. 9. Serve granita with fresh fruit, sparkling wine or soda, a scoop of ice cream, a dollop of whipped cream, or just by itself. Whatever you serve it with, I do recommend that you serve it in a chilled dish to keep it from melting too fast while you and your guests are eating. If you don’t have room in your freezer for serving glasses, your fridge is better than nothing. 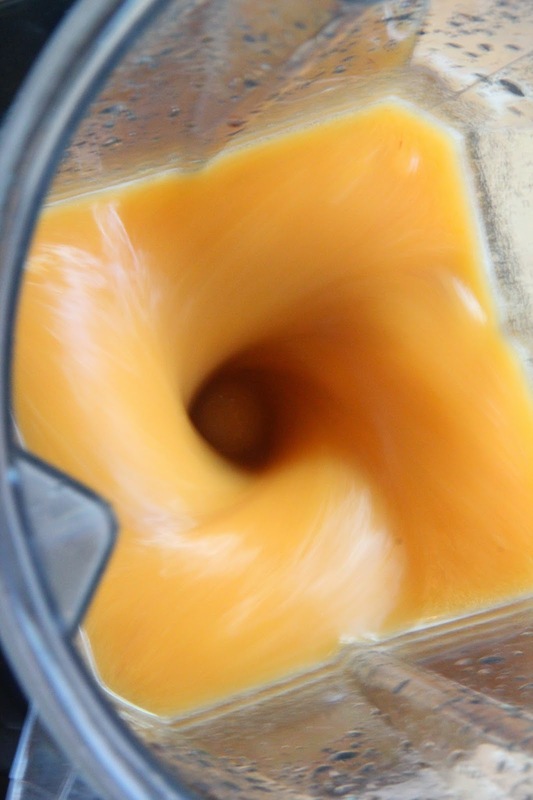 Once you get the hang of this procedure there are no limits to the flavors you can make. Try other berries, stone fruits, or a combination. To try other fruit families such as melons, citrus, and tropical fruits, keep in mind different fruits have different water to fruit solids (peel, pulp, etc) to sugar ratios, and will benefit from a recipe specifically tailored to each fruit. There are also fun additions such as mint and basil, or non-fruit options like coffee and chocolate granita. You can search the web for recipes or check out David Lebovitz’s frozen dessert book The Perfect Scoop. It’s my go to frozen dessert recipe book (I own two copies). So now that you are armed with an easy, make-ahead recipe, that takes full advantage of the season, what are you waiting for? I hope you aren’t waiting for a party. You know that dessert called spoonfuls-of-ice-cream-directly-from-the-pint-container? Granita works pretty well as a substitute for that too.